The kids and I are visiting my aunt overnight to celebrate Christmas. Tomorrow we go to my step-daughter's for her baby shower and to do Christmas with her and her first son. I still don't have my computer. My other computer is like having NO computer because it's so slow I am really getting nothing accomplished. I get more done on my phone than I do using the computer! My friend's husband is fixing it today!! Finger's crossed. Needless to say, I didn't take any photos this week of my kids so I decided on our way down to the cities I'd snap a photo of my boys and the dog. Boring, I know, but next week should be chalk full of fun photos! ok, or not. Here's a photo of the temperature in my minivan on Thursday after I brought Buddy home from basketball practice! Crazy, huh? And this is the photo of my boys and Rugby just chillin' in the back seat. I have the center seats out of the van because of our traveling with the dog. It's just easier and I've been too lazy to put them back in. These photos were taken on my Droid2 and I have to say the quality isn't nearly as good as the iPhone photos I've seen out there. Yep, I'm jealous! 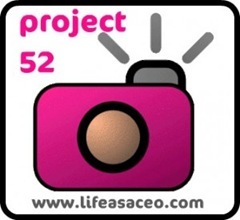 Have a great weekend everyone and check out the other participants at Life as a CEO. It was -4 here this morning and we thought the world was ending! -15 is just too much. Or maybe too little. oh boy....I think we need to move farther south, lol. i'm in chicago, freezing! Here's hoping you'll have your computer back soon! OMG that is coooooold, im complaining about 20degrees. Don't be dissing your Droid. At least you have a smart phone. Mine is as dumb as a box of rocks. What a great idea - taking out the middle seat!